Home can not be seen from road. Shares drive with 3 other properties. 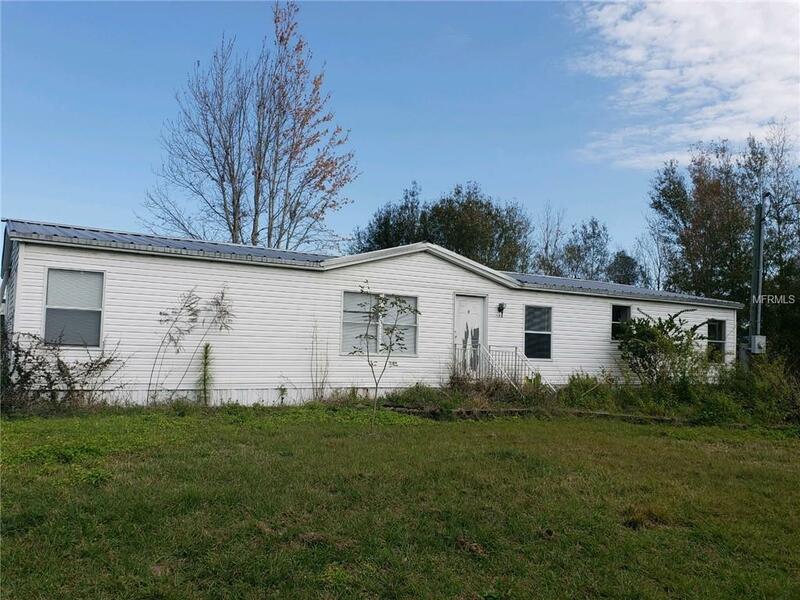 3 bedrooms, 2 baths on over 2 acres. Owner was in process of updating when he decided to move. Needs bath tub in hall bath and minor repairs, along with front steps. home has a wood burning fireplace, dining area plus a dinette area in kitchen. Master bedroom has a walk in closet. Master bath has a large soak tub with jets and a shower stall. Walls have dry wall, as an upgrade. Property has a large ( 40 x 50) work shop with 2 14 ft doors and a car lift. There is a pond behind work shop that helps keep yard dry in rainy season. Zoned for farm animals. Quite, secluded with lots of room to play, have animals, with the work shop as a big bonus.